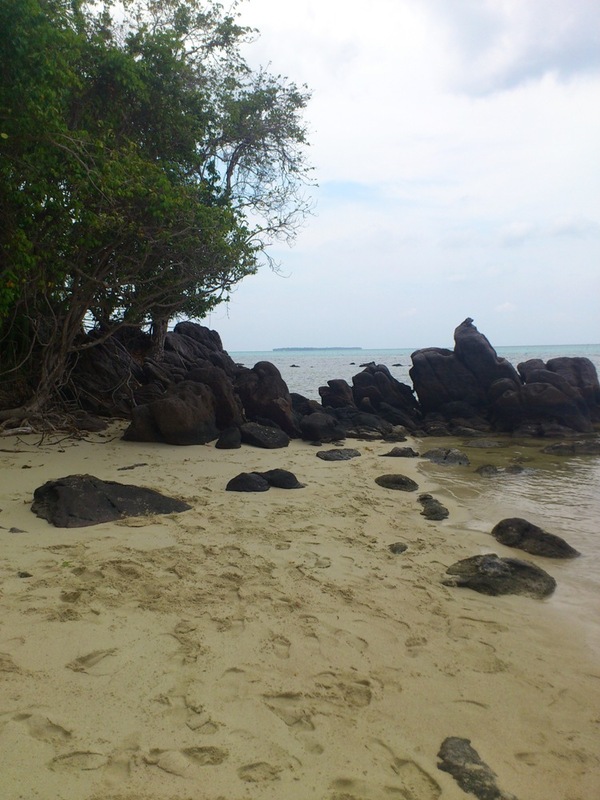 I’ve heard so many stories about how beautiful Karimunjawa island is. 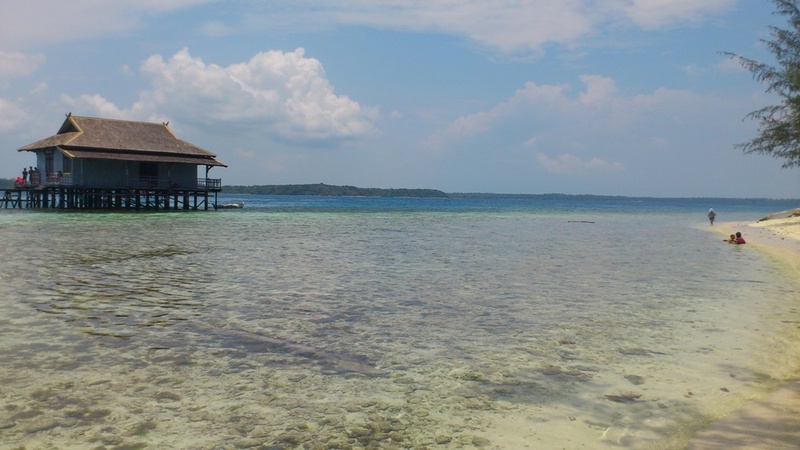 Is it truly the so-called-paradise island in Central Java? ………and this is our trip journal…. Group 1 by economy train with 5 members took Brantas train, an afternoon train from Tanah Abang station to Semarang Poncol station. I heard they had ‘nice time’ in the train, listening to many ‘live performances’ with some rain drops leaking from the holes above ^^ The train ride took about 9 hours. Actually there is nite economy train like Tawang Jaya to Semarang that departs Pasar Senen but again, it was a long weekend so we couldn’t get the tickets. This train is suitable for backpacker with limit budget. Me, I don’t think I would take it for long distance. Group 2 by executive train where my sister and I were, leaving Jakarta by Sembrani train from Gambir station to Semarang Tawang station. It was weekday and the train departed at 7pm so we went to the station straight from our work in Central Jakarta. I took bajay (a vehicle with 3 wheels like ‘tuktuk’ in Thailand) from Thamrin street, next to McDonald for Rp20k. My sister took an ojek (motorbike taxi) from the same spot for the same fare. 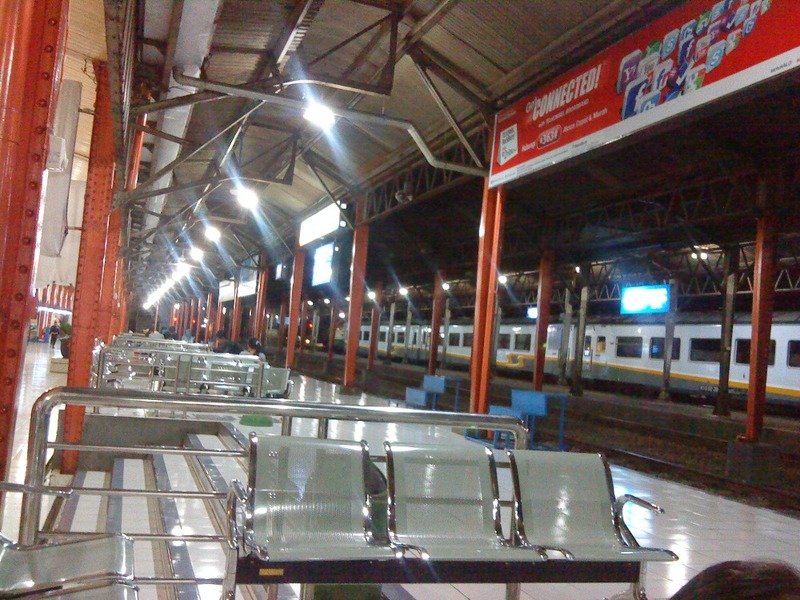 Gambir station was full with passengers that night. It’s been a while since my last visit there. It looks like many renovations has been done since, made it looked much nicer and cleaner than I remember. Sembrani Train is a nice one too. It can be cold at night and the food is really expensive. But it’s very convenient for long distance. The train ride took about 6.5 hours to Semarang. 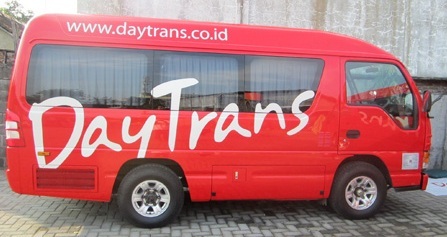 From Semarang, we all used the same Shuttle Bus service by Daytrans, although my sister and I used an earlier shuttle service. What I can say about this Daytrans service is that they are not on time. My sister and I were picked up almost an hour late. There is also extra charge if we asked them to pick us up inside the train station, which they didn’t tell us before. Plus another extra charge to get us until Kartini port, where our fastboat is. So even if their usual fare is Rp55k, the extra fee will make it to the total of Rp 80k. Not to mention their unprofessional and rude driver. I would suggest you to use rental car next time if you travel with more than 5 people. It takes about 1.5 hours from Semarang to Jepara. My sister and I arrived there about 8.30am while the rest of the groups arrived there at noon. There are 2 fastboat departure that day, 10am and 2pm. Our group took the 2pm departure so I figured out I could have plenty of time to get some rest. Unfortunately the port is not really what I imagined. I thought there would be nice restaurant around but the facility there is very minimum. 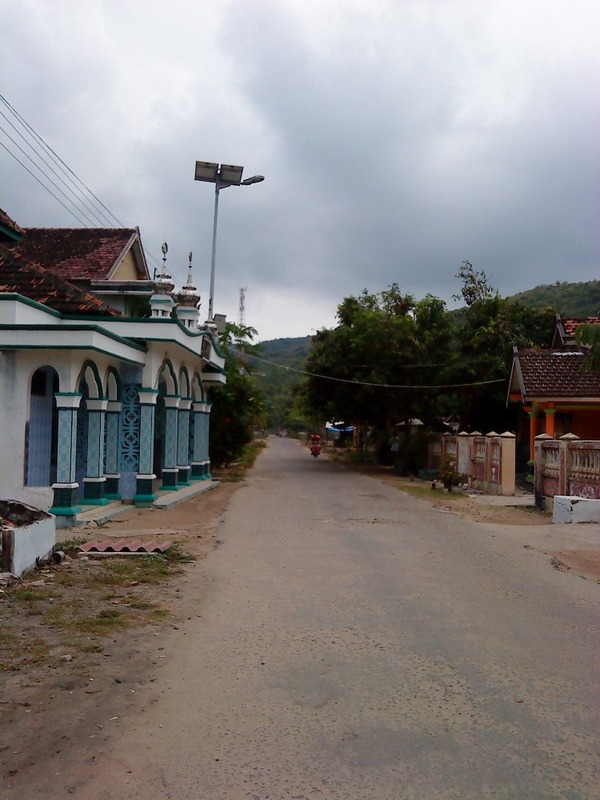 It could have been better seeing their surrounding, Jepara city, looks very clean and well managed. 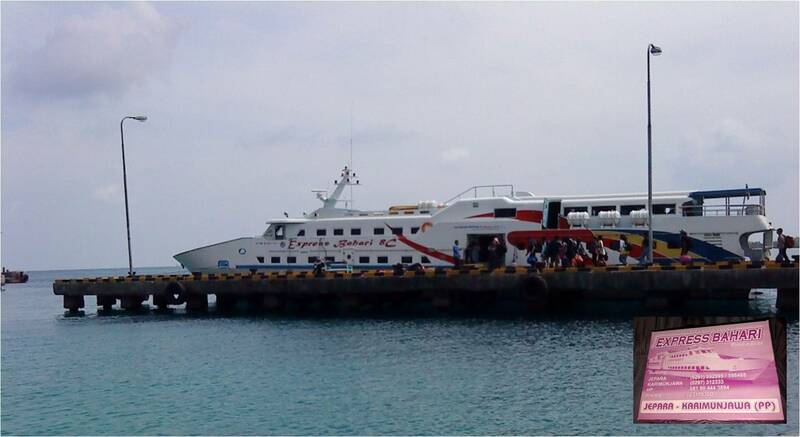 Anyway, good thing that Express Bahari fastboat departed as schedule. It’s a big vessel. Our seats were in the lower floor where its seating looks like in a movie theater with that ‘dangdut’ karaoke movie on the screen. It smelt gasoline down there ><” I can still remember how bumpy the ride to Karimunjawa island is. Please remember to take sea sickness medicine before you are on board. Unless, I’ll guarantee that you’ll have a horrible 2 hours ride there like one of my friends had. 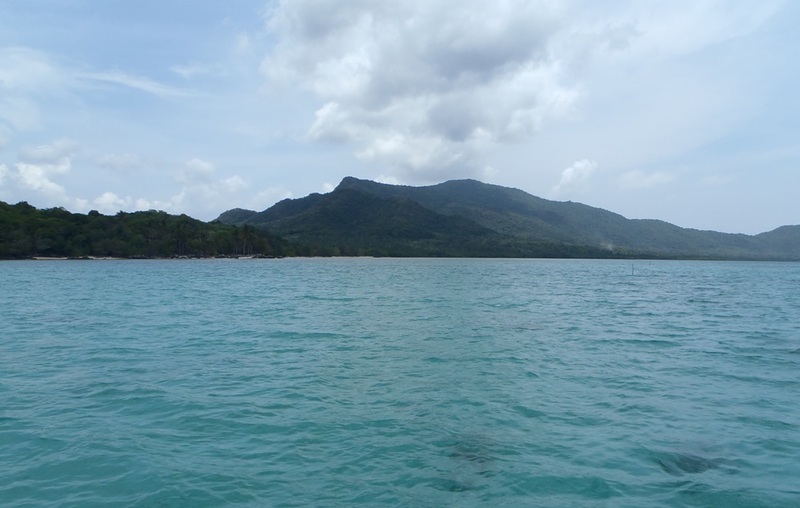 It was about 4pm when we arrived at Karimunjawa island. 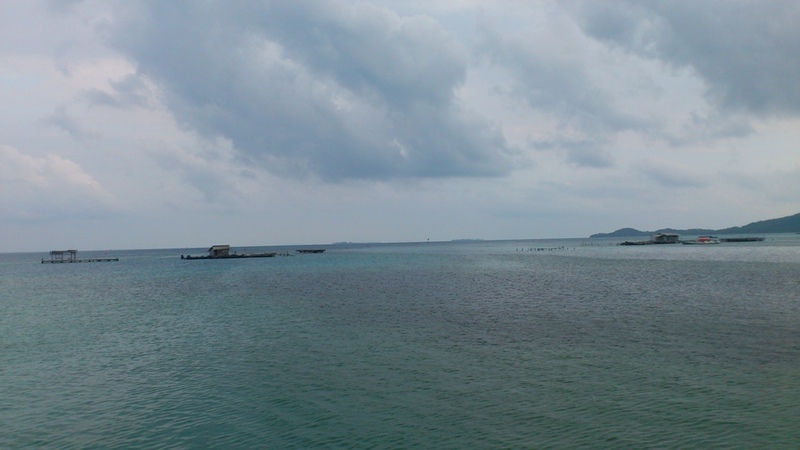 My first impression of the island was…they have a very clear water on the port. Wow!! 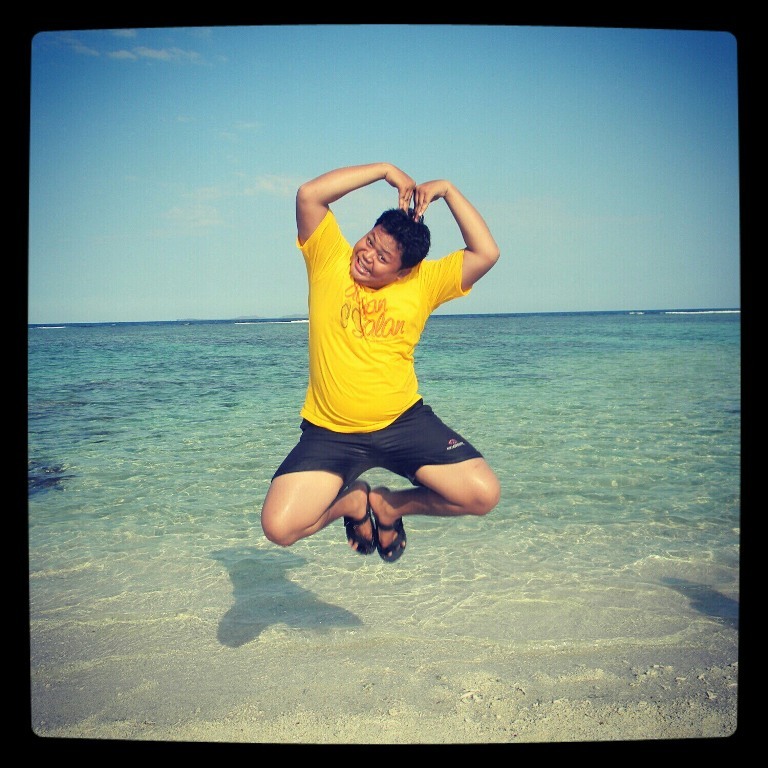 Our travel organizer, Putra Karimunjawa, started to divide us into groups to transfer us to our homestay. It’s about 20min drive to our homestay and we were welcomed by the guy and family who I think taking care or owns the house. 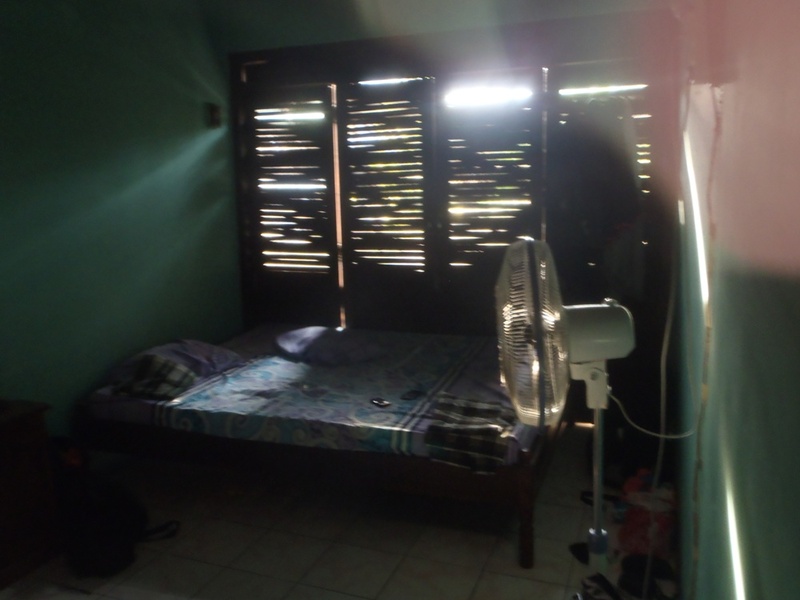 We chose a homestay with no AC and placed in a house with 4 bedrooms. We were assigned to 2 rooms which each has 2 big beds so we were sharing it, 2 people in a bed. It must be awkward sharing it even with your friend :p . The room I got is very damp, no ventilation. We were using a fan but still we woke up like we were sleeping in a sauna. Plus the mosquitoes bites… hm.. somehow you can really feel their bites, it’s different type than in the city. We cleaned up soon as we settled in our room and had dinner. But we got bored there and decided to look for souvenir shops. One of my girl friends spot the place and we looked for it. 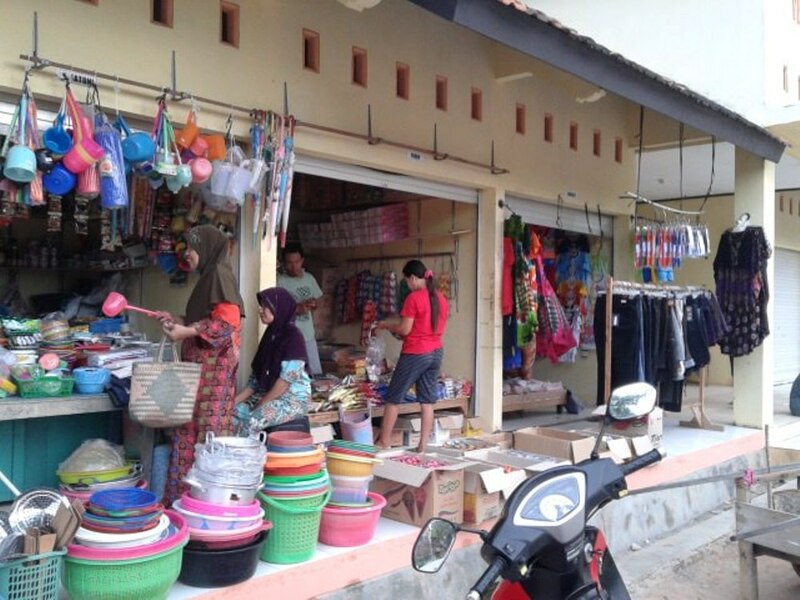 There is like small block of shops that sells the souvenir. Price are very cheap, for me. I got a tissue box decorated with very nice clams for less than Rp50k. Tshirt is about Rp30k but some with good graphic costs about Rp75k. On our way back to homestay, my feet were kinda hurt after that nite walking from our homestay to Alun-alun then souvenir shops and back to homestay again. I realized it when we arrived in the homestay. We certainly took a very long stroll that nite. Well, I guess you’ll never know how long you’ve been walking when going out with your friends. It had been an exciting and tiring day and still, there were more exciting activity awaiting us the next day. That morning I woke up with sweats all over me. It was so da*n hot in that room, even with a fan. I checked my gadgets whether it had been fully charged. We all should share our electricity usage since there were no many outlets and limited electricity. 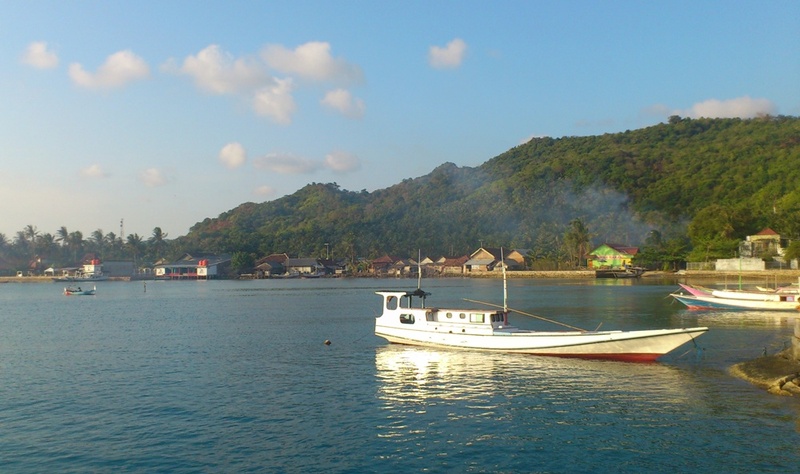 The electricity power in Karimunjawa island is only from 6pm to 6am. I went with the girls to check out their traditional market, hoping to get a chance to try their local snacks. Unfortunately, we were late. We should have been in the market an hour before, around 5.30-6 am to get that snack. 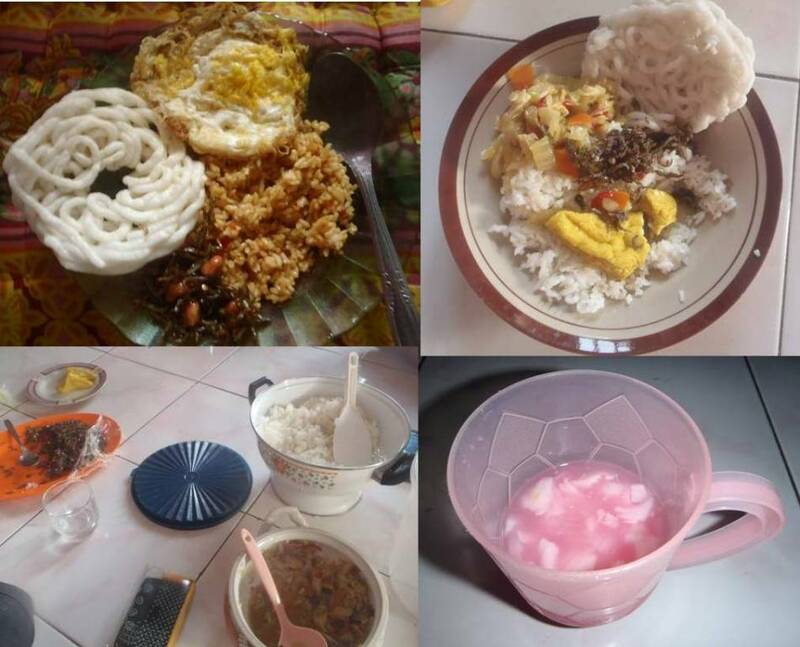 Anyway, talking about this traditional market, it doesn’t look really traditional. The walls are from concrete while we thought it would be from wood or bamboo, which mostly what we have in mind for a traditional market. Then we back to our homestay for breakfast. Soon after breakfast, it’s time to start our tour. 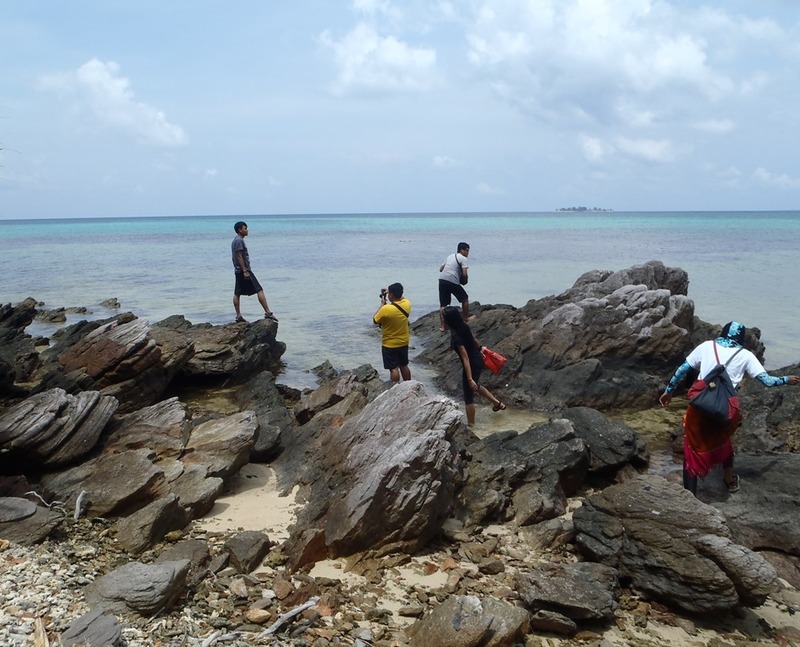 We had snorkeling trip that time in Pulau Tengah and Pulau Kecil (pulau = island). The underwater views are not bad. 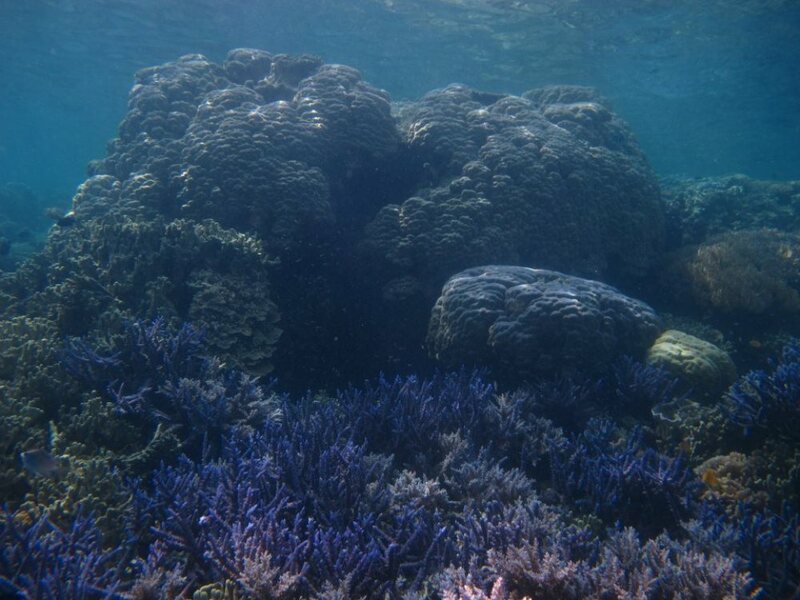 Many corals but mostly dead. 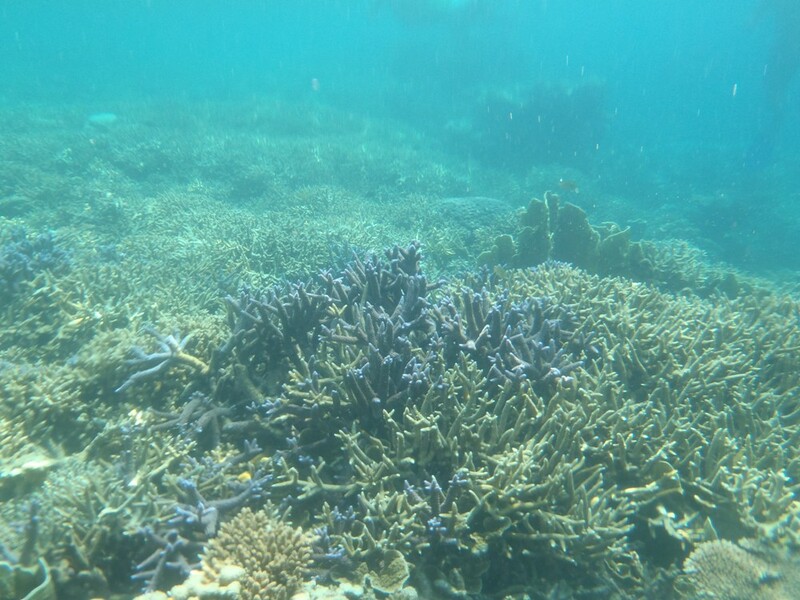 It’s better to go outside the usual snorkeling spot to see more beautiful underwater scene. The water is clear that day. Just beware of sea urchin! 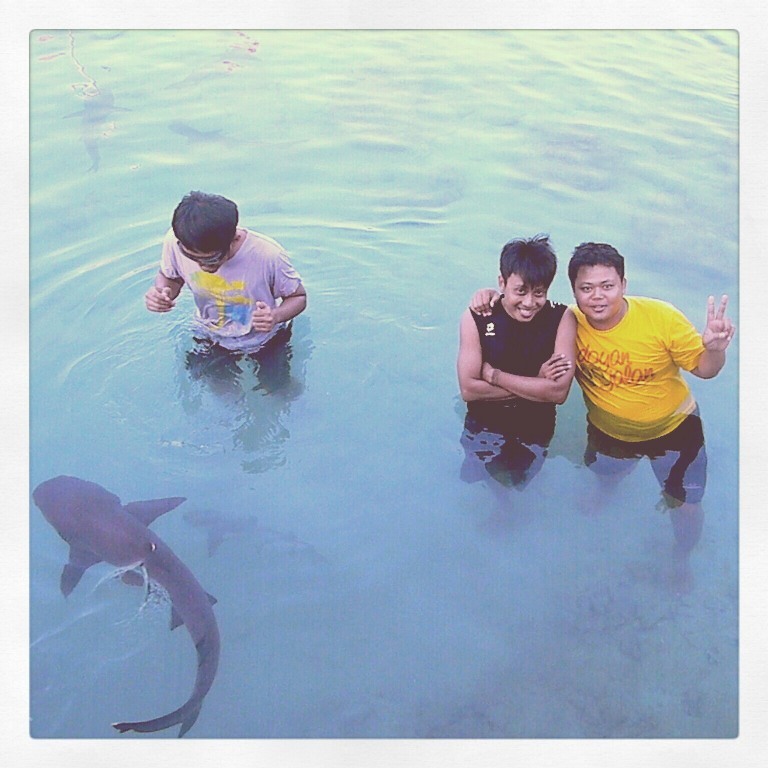 We visited 3 islands that day, Pulau Tengah and Pulau Gosong. Pulau Tengah is where we had our lunch. They cooked the fish on the spot so it’s really fresh.-cooked and tasted not bad either. The view in this island is amazing too. 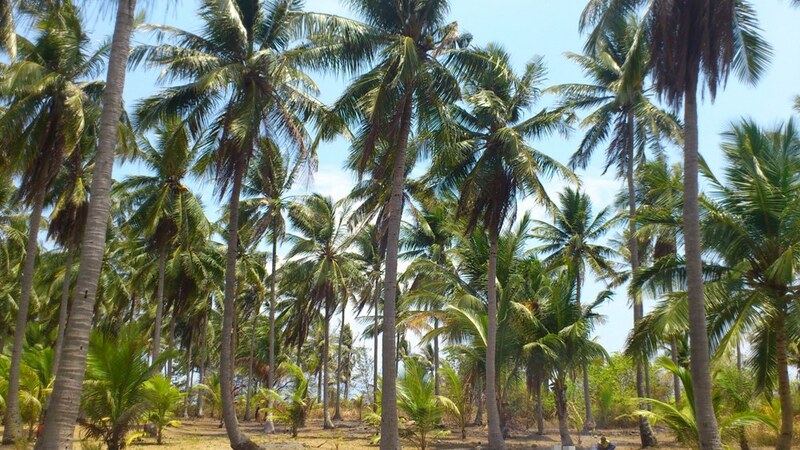 It has long stretch white sandy beach with many coconut trees. Beautiful! Visiting the shark preservation is the closure of the day tour. 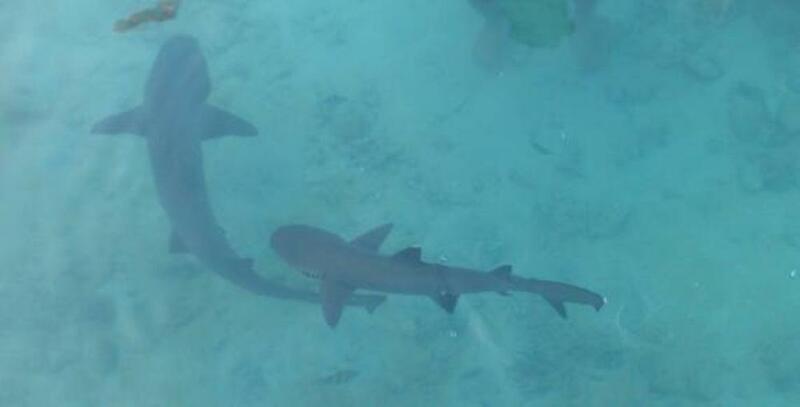 There are 2 pools there, one for white tip sharks and the other for black tip sharks. In this place, you can swim with the sharks. Me.. I rather stay far away from them. I just took some photos of all those courageous people and those sharks. It’s been a long day. Soon we found ourselves back in the island and enjoying the beautiful sunset. 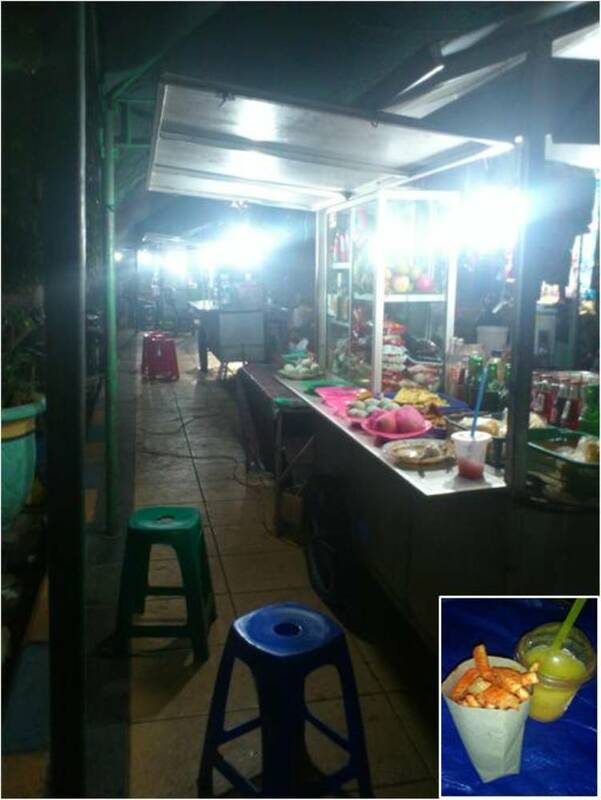 At nite after dinner, we went to Alun-alun again for some snacks. Then spent every last energy we had to do last shopping hahaha… It was another long and tiring day. We had half day tour that day before catching our 2pm boat back to Jepara. We had breakfast, gathered in the boat on time but your least expected thing when joining a tour happened. We had to wait 2 tour members for almost an hour. OMG! They were so waiting our time and to be honest, we didn’t enjoy that half day because we were always in the rush. Apart from that rushing thing, we hope we would have more time that day. Why? 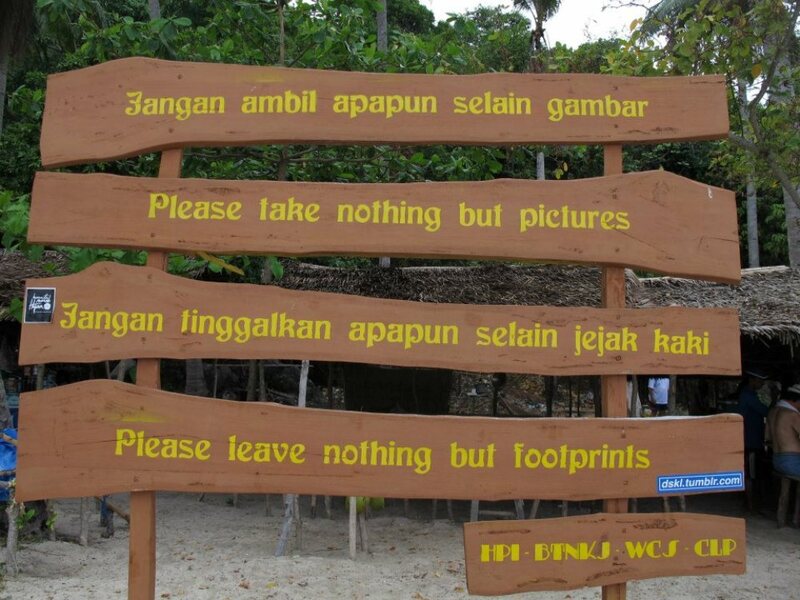 Because the snorkeling sites in Pulau Menjangan Kecil is very beautiful. 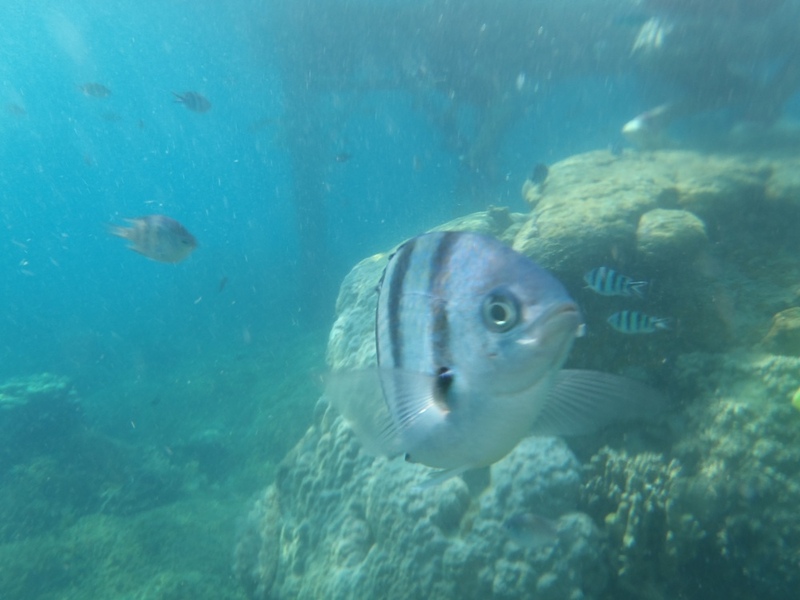 When I went further from the crowds, I saw colorful fish down below there, the type of fish that usually seen on my diving. 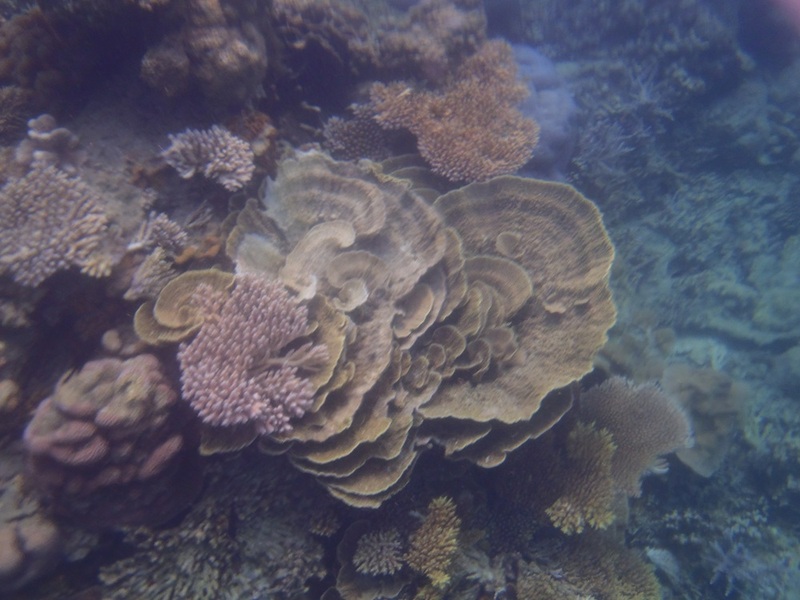 The coral are beautiful too. We also enjoyed Tanjung Gelam, a white sandy beach island with a hill near the beach and awesome rocks on other part of the beach. We took many good photos there and had a coconut drink with fried snacks. I wish I could climb the hill to see what the other offer this island has but we had no time. Not to mention we didn’t know where our guide went. The 4 hours morning tour was up and it was time to be back at our homestay to start our packing quickly with a quick lunch. We were rush into the harbor. I remember that was a very hot day with a beautiful water color. I took a look at the island behind me and some to its surrounding. It’s beautiful. I wish I could stay longer. We took the same fastboat back to the main island. We had the same bumpy ride but all of us had taken that “antimo” (sea sickness medicine) so we were all ok.
We arrived Jepara port around 4pm. We had 2 hours before our shuttle bus picked us up so we explored the surroundings a bit. 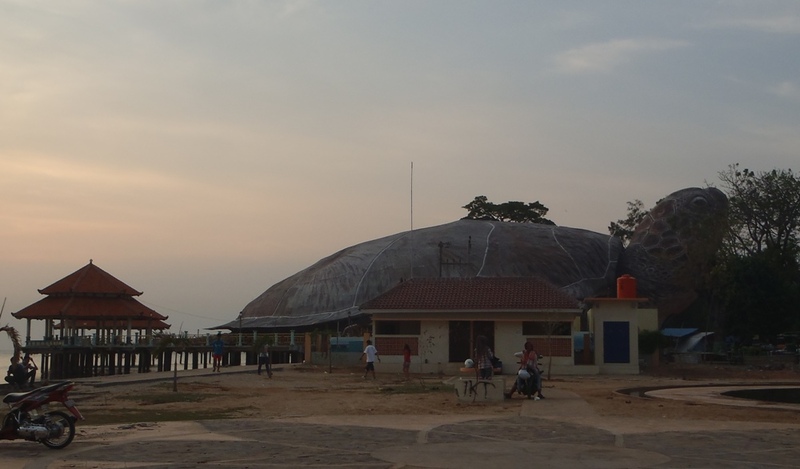 There is this Kura-kura Ocean Park nearby (kura-kura means turtle and this museum shaped like a turtle). 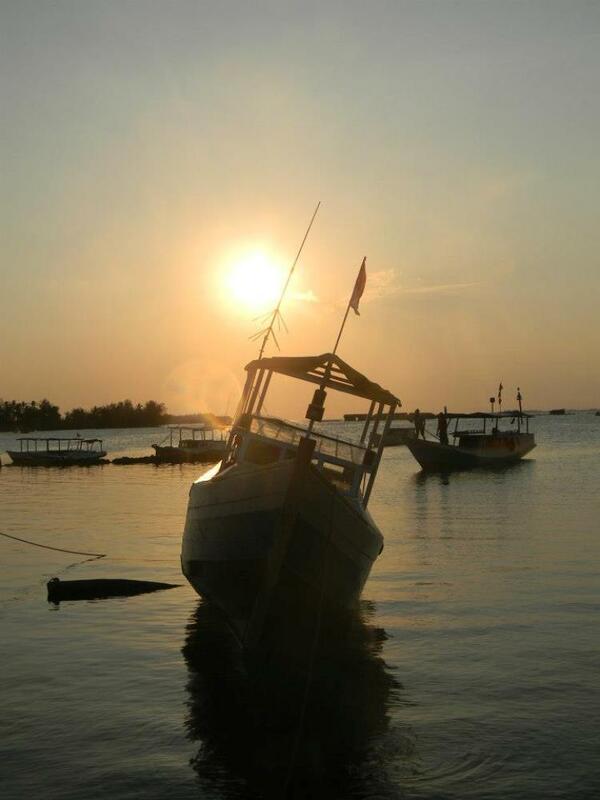 We took some picture from outside and enjoyed the beautiful sunset of Kartini beach. Then we went to local warung to have dinner before going back to the port for our 6pm shuttle bus. We used another shuttle bus service this time called “Bejeu travel” but my ow my, they have the same service as our previous shuttle service. They picked us up late, made us so panic that it wouldn’t come because we had a 10pm train to catch. We also had paid half fare as deposit. Thanks God it finally showed up. We’ve been there for an hour while getting bitten by those crazy mosquitoes. And as what we had with our previous shuttle service, they charged us extra to drop us inside the train station or to my friend’s hotel. I don’t have any idea where this all extra charge coming from. Now I know why foreigner found our tourism service is unpredictable because there mostly are extra cost for transport etc. It’s really too bad you know, considering that Indonesia has much more beautiful places for tourism comparing to other countries nearby. Anyway, we managed to arrive in the train station before 10pm. We still had to wait a bit longer though because our train delayed about an hour, I guess (:bummer:). One of us was lucky enough to choose a flight back to Jakarta the next day and not to take this train. I was almost sleeping in the station floor waiting for that train. Not to mention that our business train was changed to economy AC that month. It has AC but still the people on the train somehow putting their legs wherever they want. A guy in front of me put his leg on my seat, so not behaved. There were also people sleeping on the floor. Maybe that’s because of the seating is.. hm.. it’s a very solid seat, more like a bench for two, not comfy. It’s my first time taking economy train outside Jakarta and I won’t take it again. It’s too tiring for 8 hours train ride. Plus I got to go straight to work. Well, it’s been a hell of spending your long weekend. Is it worth it? Hmm… I did enjoyed half of it. I might enjoy it more if I stayed in Karimujawa longer to wash away those tiredness on the way to the island. – You can enjoy the islands nearby if you stay more than 2 nites. 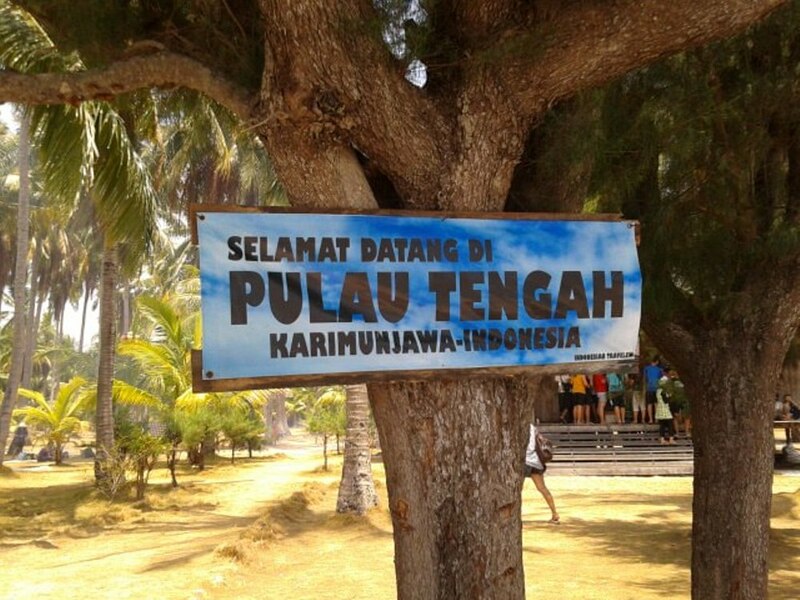 It’ll just make you tired if you visit this island in short time. – Make sure you have your snorkel gear and fins when you get on the boat. Sometimes the guide is ignorance, like ours, who don’t even care whether we have fins or not. – If you are a group of more than 5 people, it would be better to rent a boat rather than joining a tour. The tour is too tiring. 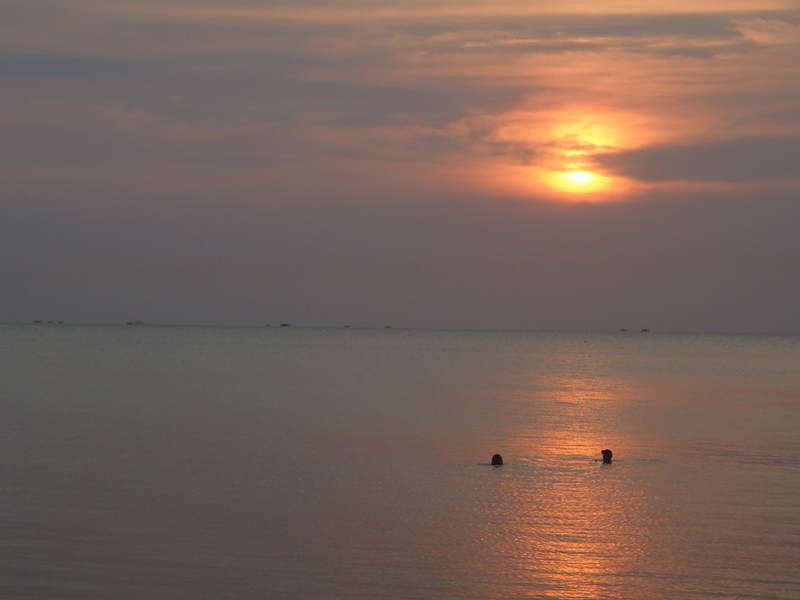 – There is nothing much to enjoy in Karimunjawa island except its sunset. 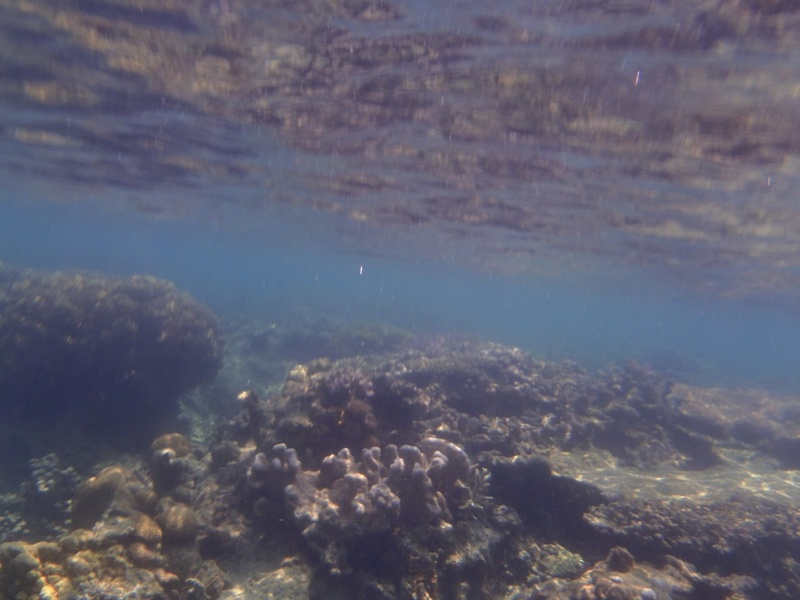 However the islands nearby have some quite nice snorkeling sites, which even there are many dead corals where the tour group uses to drop off their guests, we can see their real underwater view if we go further from those crowds. – The beach I visited are not really given me the WoW look. It’s probably because many boats tied their ropes to a pole buried in the sand to hold it. It’s a waste of beautiful white sandy beach. 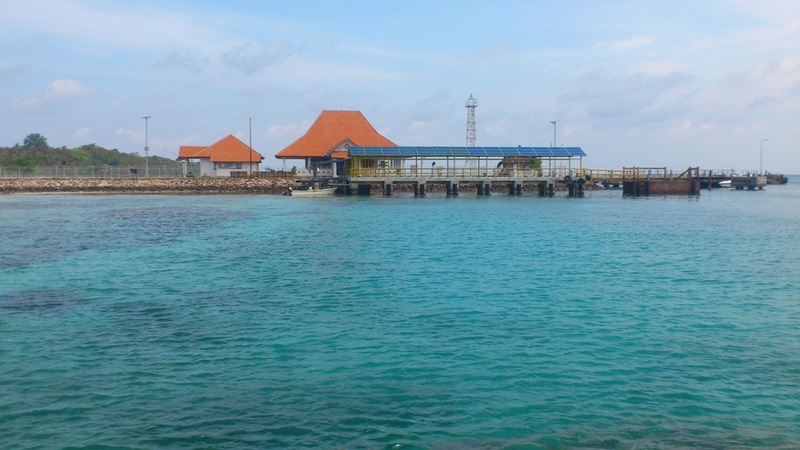 – The transport to Karimunjawa is not comfortable enough and tiring. You’ll need to stay more than 3 nites to be able to enjoy it. – The only thing I can say WOW is their clear water with color gradation between emerald green, turquoise and dark-light blue. Therefore considering those facts, I don’t think I can say it as a paradise at the moment, at least not for me. But hey, I use ‘at the moment’ here. 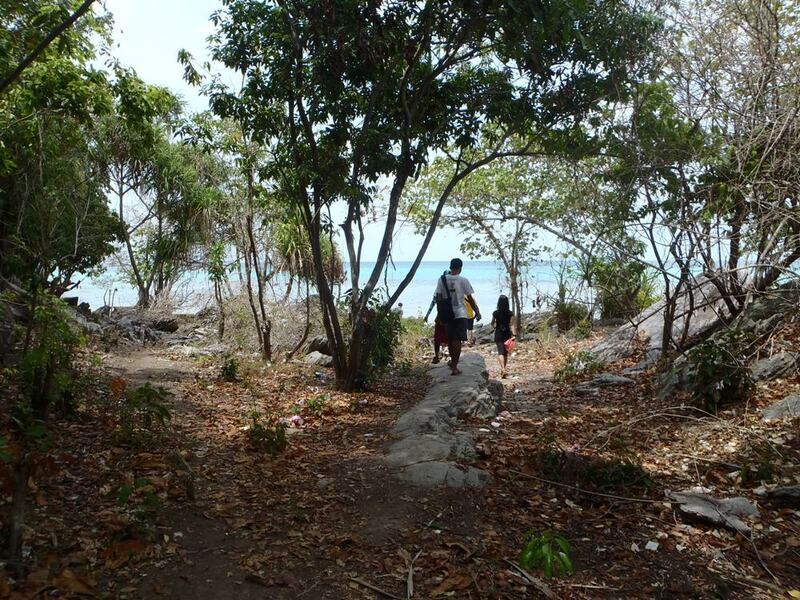 Maybe in the future, they will find a way to make their tourist enjoy visiting this island more. 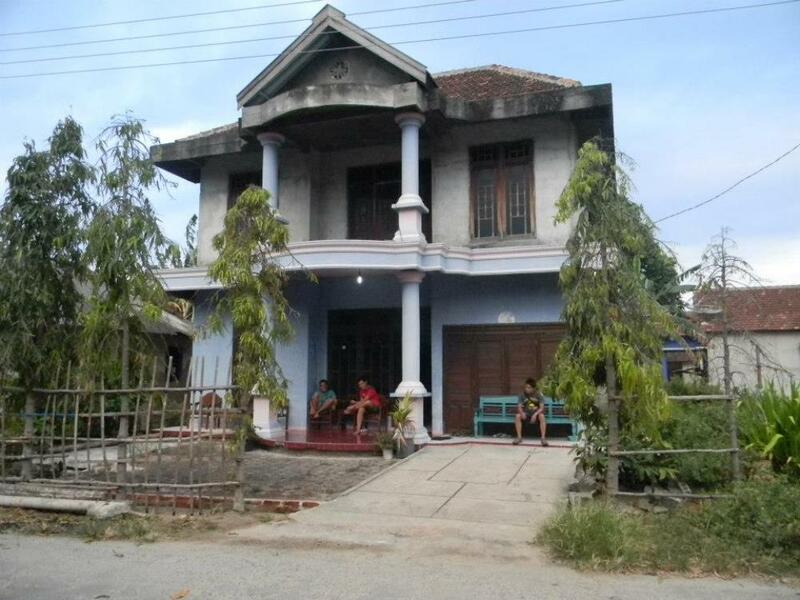 Homestay no AC with 4-shared members in a room, provided by Putra Karimunjawa Tour. I see other nice place to stay in the island. thanks for a wonderful travelogue, so detailed and informative! So cool Man! I am going to Karimun Wagon. 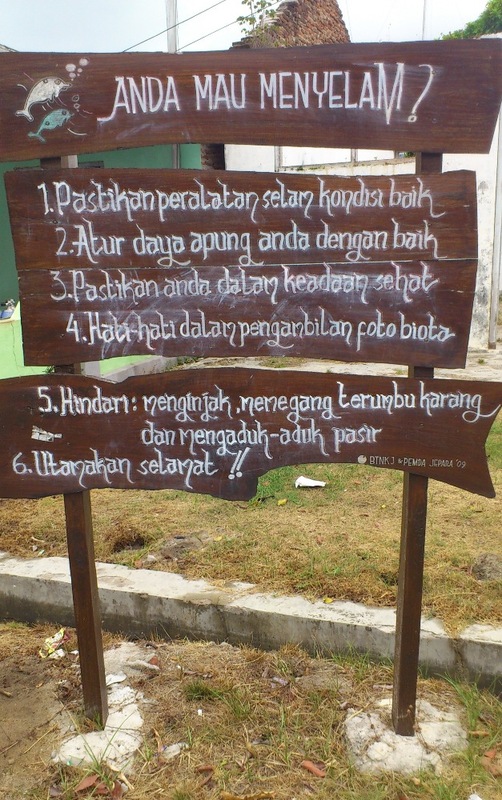 Eh Karimunjawa! 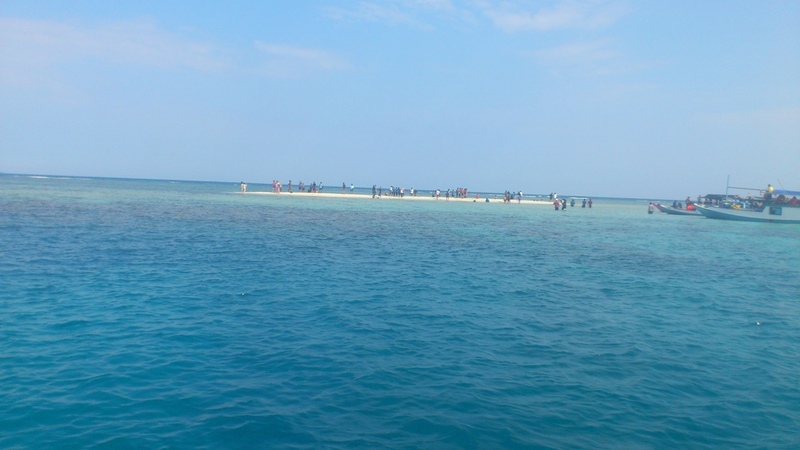 Make sure you spend longer time snorkeling at Menjangan Kecil island, away from the tourists ‘drop’ spot. Its underwater view is beautiful! Have fun there.